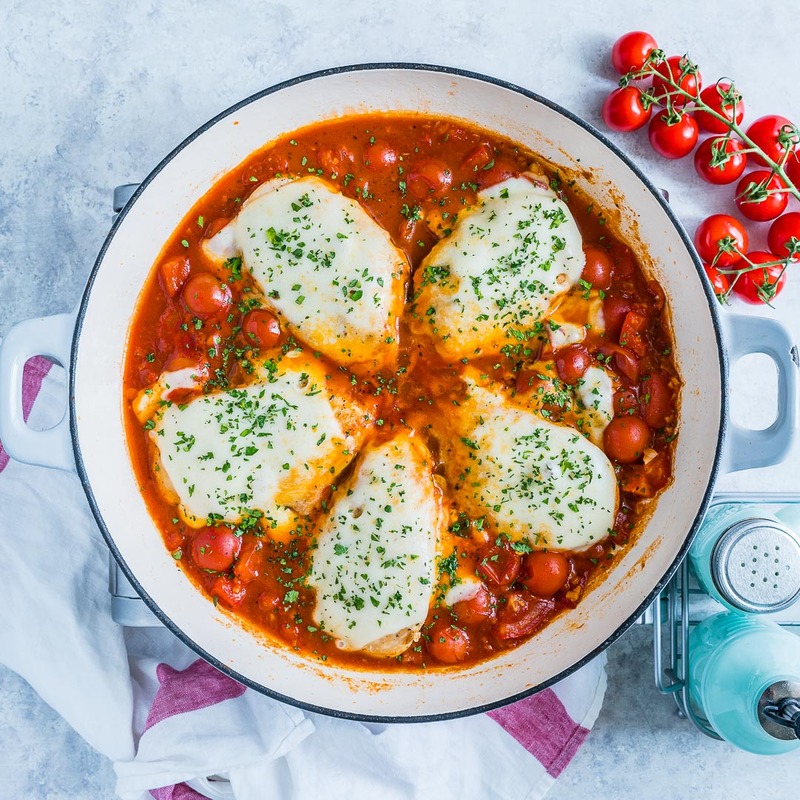 Make this easy mozzarella chicken with tomato sauce in just one pan and in under 30 minutes. I got inspired by Gordon Ramsay’s chicken mozzarella recipe so I really hope you like my version, otherwise, I hope he won’t find out. I kind of dread his scoldings. 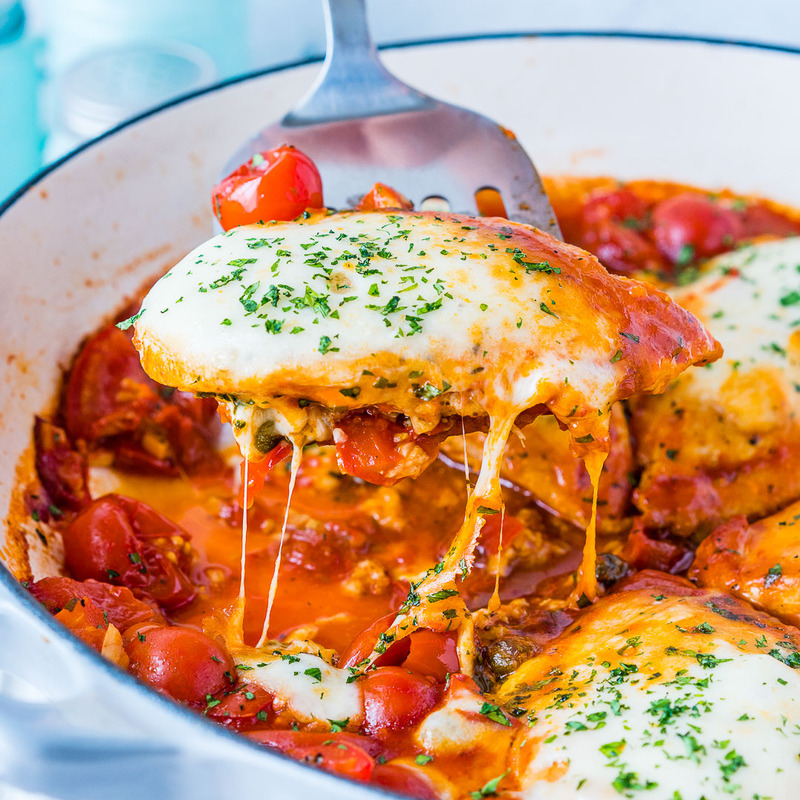 Today’s recipe is a delicious and easy mozzarella chicken in tomato sauce. It came out super delicious and I am sure you will love it, but just in case there’s somebody that out there that doesn’t like my version, please don’t tell Gordon Ramsay. Every time I make one of his recipes, there is a dreadful feeling in the back of my head that if I mess anything up, he will come out of the TV and scold me like he does with those guys in his show. Actually, I think it’s better to keep it between us even if you like my mozzarella chicken. Who knows, he may not agree with the amount of seasoning I used or something like that, so let’s not tell him, ok? Now that I have cleared that up, I would like to tell you a few things about this mozzarella chicken recipe. First of all, I think it’s one of the best recipes with mozzarella cheese. 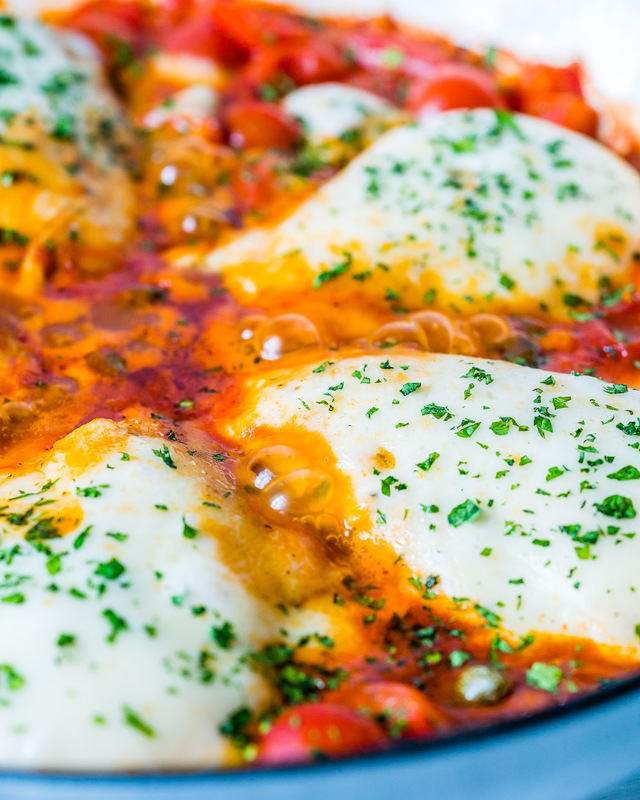 Well, chicken with mozzarella and tomato… a delish made with simple ingredients… what’s not to love about that, right? But there’s another reason I like it so much. And that is versatility. Chicken in tomato sauce is one of the most popular recipes because you can make it for parties, date nights, holidays, Christmas, you name it. 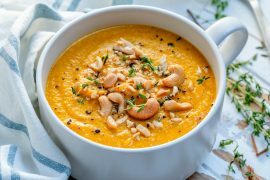 It’s the perfect recipe for any occasion, or even if there’s no occasion at all and you just want to grab a quick lunch or dinner. 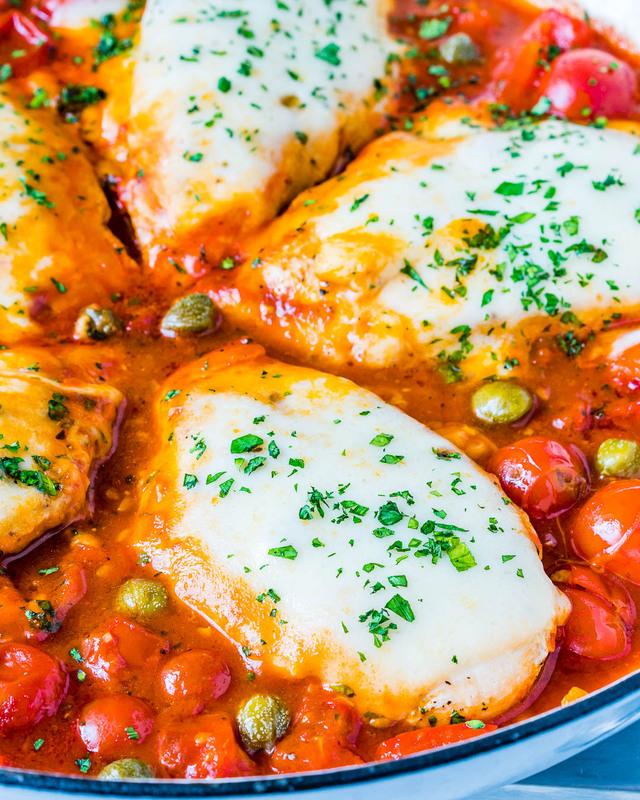 Another great thing is that you can make the mozzarella chicken in just one pan and in less than 30 minutes. How good is that?! 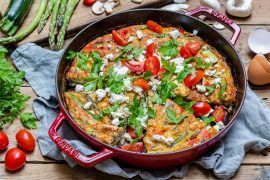 Serve it with zucchini noodles if you want it light and with fewer carbs. You can use boneless chicken thighs instead of breast, if you prefer them. If you like your dishes spicy (like I do), then add chopped chili or chili flakes, to your taste. So I hope you like how I twisted Gordon Ramsay’s chicken mozzarella recipe and whatever you may feel about it, just drop it in the comments and not to him, ok? 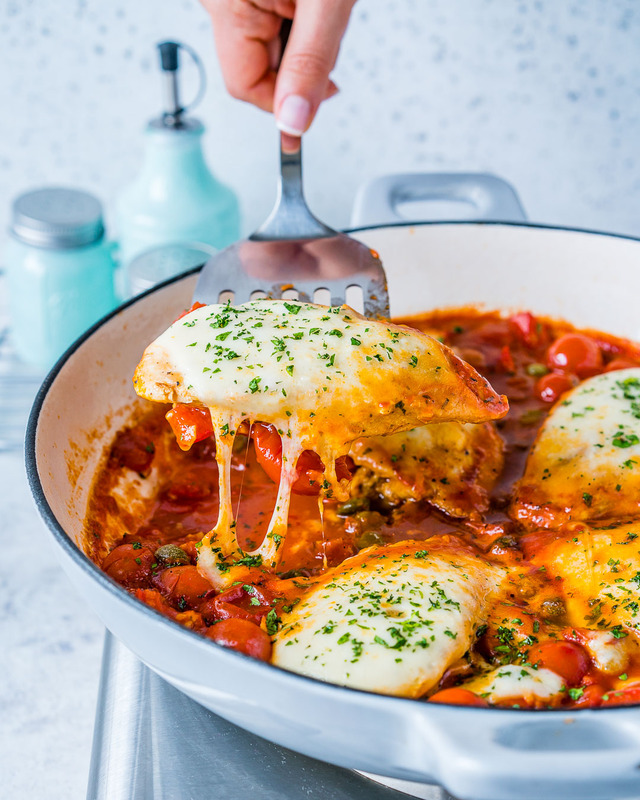 Now get your pans out, it’s time to cook chicken with mozzarella and tomato sauce. Oh, I almost forgot. 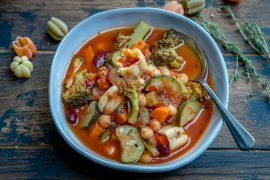 If you want to see more easy recipe videos, then head over to Youtube and Subscribe to my delicious channel. Heat olive oil in a large skillet, over medium-high heat. Add chicken and season with salt and pepper. Cook for 6-8 minutes, then flip and season the other side with salt, pepper, and Italian seasoning. Cook for an additional 6-8 minutes, or until the chicken is cooked through and no longer pink on the inside. Then transfer to a plate and set aside. In the same skillet, add garlic and cook until fragrant, for about 1 minute. Pour white wine to deglaze the pan, and scrape up the brown bits with a spatula. 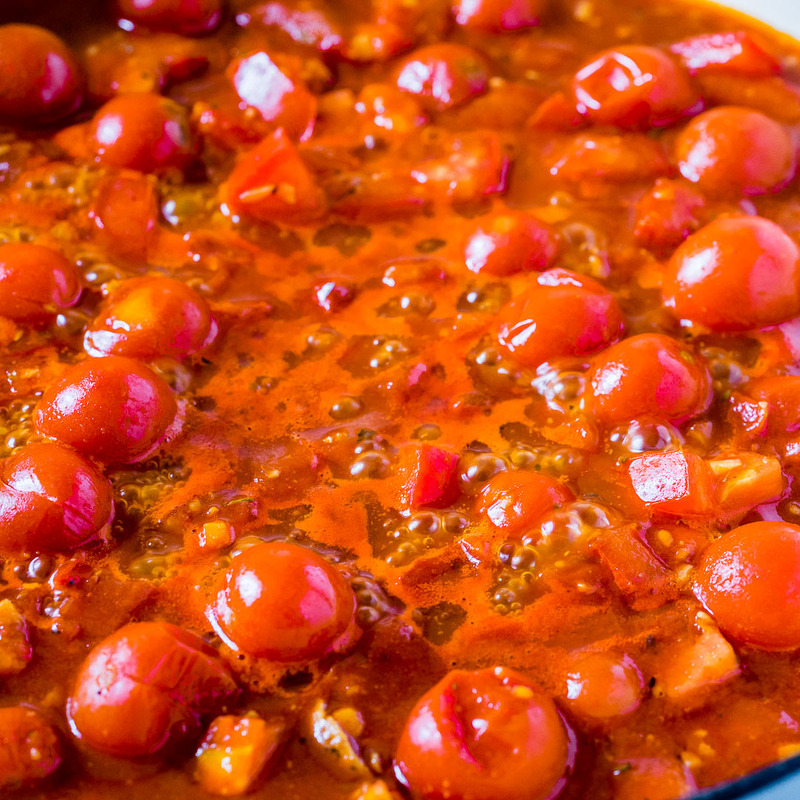 Add canned and fresh tomatoes, 1 Tbsp Italian seasoning, and capers. Stir well to combine. Return the chicken to the pan and nestle it in the sauce. Top each breast with 1 slice of mozzarella, cover with a lid and simmer for about 10 minutes. Garnish with fresh chopped herbs and enjoy!